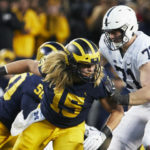 In the 2019 NFL Draft there is a large possibility that the Pittsburgh Steelers select a tight end. This is largely due to the uncertainty surrounding Jesse James’ contract which runs out this year. Furthermore, after voicing his discomfort regarding the drama which circulated and continues to circulate the franchise in December, we may see James exit the team this offseason. Much to my, and many others’, sadness. That said, the Steelers could benefit from an influx of youth, perhaps a reliable receiver like Foster Moreau might do the trick. 2019 Senior Bowl Invitee. 2018 Team Captain. Ranks No. 7 in LSU history for receptions by a tight end (52).Tied No. 4 in touchdowns by a tight end. Majored in Sports Administration. 22 receptions for 272 yards and 2 touchdowns. Averaged 12.4 yards per catch. Likeable characteristics and hard worker. Moreau boasts a solid stature at 6’6”. His height allows for him to adjust to the ball’s trajectory. Can catch in traffic and has good hands, despite receiving little of the ball. Can create big plays out of nothing. Run blocking is his strength, can create alleys for the halfback. Possesses solid strength, which he uses to dominate corners/smaller linebackers at the line of scrimmage when blocking. Moreover, has solid hand and footwork. Runs the route well despite being on the slow side, often by out-hustling the corner. 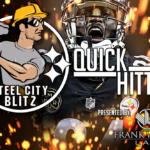 The lack of use of his talents may benefit the Steelers as he will have preserved some of his talent. Here we see Foster Moreau identify his man early, as he then sets the hole which results in a touchdown. Foster Moreau demonstrating blocking ability, helps to create huge hole for the touchdown. Moreau also creates a touchdown from very little in a game against Texas A&M below. This time, at Senior Bowl practices, Foster makes an exquisite diving catch. Moreau’s quite slow compared to the modern day tight end. On several occasions, Moreau has been taken advantage of in the past at the line of scrimmage by quick DT’s and DE’s, who match him in size and speed but possess better technique. There have been times in run blocking where he mis-steps, thus the opposing defender can utilise his poor angle in order to sneak past him and get to the quarterback. His awareness as a blocker isn’t at the NFL level yet, will need taught. Bigger speed defenders get the best of him. Will need taught better mirroring. Foster Moreau has impressed me thoroughly upon witnessing his performances in multiple games. I believe he is a solid route runner who is efficient in the pass game. For me, he has a large ceiling in terms of both production and involvement in the Steelers’ system, should they select him. In terms of blocking, Moreau is pretty good. He can make light work of blitzing corners and smaller linebackers, as well as standing strong against larger defenders. That said, there remain concerns against opposing DT’s and EDGE rushers who possess both speed and size, which have gotten the better of him previously. 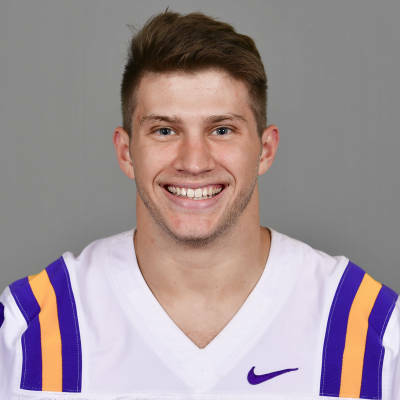 Conclusively, I believe Moreau will be selected in the early stages of the fourth round of the 2019 NFL Draft. Games Watched: Miami (2018), Georgia (2018), Troy (2017). Credits – lsusports.net & YouTube.